"There can be no reason to withdraw within two days"
In other words, in the future, buying a house in Dongguan can also be like online shopping, within the prescribed time limit, "there is no reason to cancel the subscription and return the deposit." The reporter learned that Dongguan is currently the first and only city in China to introduce the “no reason to check out” policy. 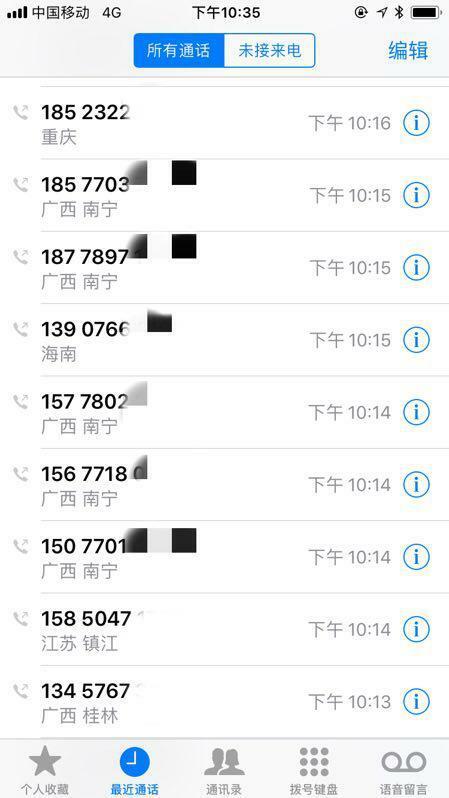 Complaints about the difficulty of refunding due to impulsive purchases have occurred from time to time, and now this problem has a new solution in Dongguan. After more than six months of public announcement, not long ago, the Dongguan Municipal Housing and Urban-Rural Development Bureau officially issued the "Notice on Promoting the Use of <Dongguan Commercial Housing Subscription (Model)> (hereinafter referred to as the "Notice"). Second, the developer can not return the purchaser on time to double the deposit. According to the Notice, the purchaser requests to cancel the subscription and return the deposit within two natural days from the date of signing the subscription.If the parties have not signed the "Commodity House Sale Contract", the developer should return it. It is worth noting that when signing the subscription, the developer should present and explain to the purchaser the “Commodity House Sale Contract” to be signed in the future. The purchaser should have a clear understanding of the main terms and related contract risks. After two natural days, the purchaser must not request the cancellation of the subscription on the grounds that they do not understand the contract. This requires buyers to not only need to know the situation of the purchased real estate and whether they meet the requirements of the purchase of housing in Dongguan, but also need to understand the bank's latest loan dynamics and loan requirements. If the purchaser still fails to negotiate with the developer to sign the "Commodity House Sale Contract" within the agreed time limit after understanding the above situation, the developer has the right to cancel the relevant subscription book, and the deposit paid by the purchaser is not refundable. After being sent to the purchaser by written notice, the developer has the right to sell the commercial house to another person; if the developer does not negotiate with the purchaser to sign the "Commodity House Sale Contract" within the agreed time limit, the purchaser has the right to cancel the relevant subscription and develop The merchant needs to double the deposit paid by the buyer. In addition, according to the subscription rules, the developer shall, from the date of payment of the subscription deposit by the purchaser to the date of termination of the subscription, sell the commercial house separately to a third party, and the developer shall refund the deposit to the purchaser twice. Asking friends who have bought a house around them often find that many people buy impulses when they buy the first suite. It is not surprising that the purchase of a house as a large consumer goods has a distinctive feature in consumer behavior.Impulse purchase. Now there is a "repentance period" for buying a house. This obviously gives buyers a space to think calmly. Even if they buy on the spot, they can go home and think about regrets. They can still check out and return the deposit. A related person from the Dongguan Municipal Bureau of Housing and Construction said that the reason for the launch of this policy is that 40% of the purchase disputes in Dongguan are buyers who are reluctant to check out, and the developers do not agree. To this end, the update of the purchase subscription agreement version, the introduction of the official "repentance period", is conducive to protecting the rights and interests of buyers, can effectively resolve the sale and purchase disputes. How will the implementation of the new regulations affect the property market? Real estate economist Deng Haozhi said that the regulation has prevented buyers from buying houses on impulse and protecting the interests of consumers. However, there is no real impact on the property market, because it will not change the relationship between supply and demand, but only gives the buyers two days of cooling-off period. World BankSenior market researcher Cui Dengke also affirmed this statement, saying that the new regulations are more of a protection for buyers. At the end of 2018, the Consumer Council of Dongguan City of Guangdong Province investigated the contracts and agreements involved in the real estate transaction field. It was found that many developers had set up "traps" on the subscription books signed by consumers when buying houses and "commercial housing sales contracts". Exempt or limit or even deprive consumers of their choiceOverlord clause. According to the investigation, on December 6, 2018, the Consumer Council of Dongguan issued the No. 6 consumption warning in 2018, reminding the majority of buyers that when they signed the contract for the purchase of a house, they had the right to object to the clause and say “no”. “The sale and purchase contract, this supplemental agreement and its attachments constitute a complete agreement between the buyer and the seller and supersedes any orally or written publicity (including but not limited to advertising) of the commercial house by the seller in the sale of advertising, promotional materials and demonstration units. Salesperson's statement, description, guarantee, etc.) The buyer and the seller hereby confirm that the rights and obligations between the parties are subject to the terms of the sale and purchase contract, the attachment and the supplemental agreement." "The sales advertisements and promotional materials of commercial housing are invitations to offer, but the sellers have made specific explanations and promises on the housing and related facilities within the scope of commercial housing development planning, and have a significant impact on the establishment of commercial housing sales contracts and the determination of housing prices. It shall be regarded as an offer. The statement and the promise shall be regarded as the contents of the contract even if the contract for the sale of commercial housing is not included. If the party violates, it shall be liable for breach of contract." The Central Committee of the Communist Party of China held a Spring Festival group meeting. Xi Jinping delivered a speech.